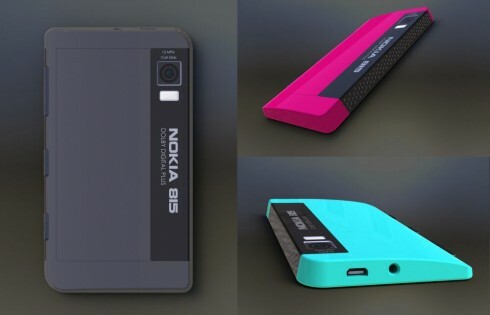 Edgar Mkrtchyan has produced a bunch of really appealing Nokia concepts lately and joining them is his latest work: Nokia Lumia 815. 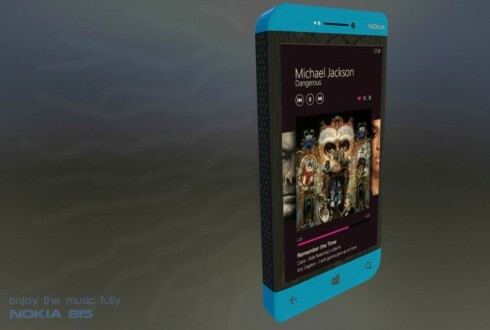 This is a music phone with Windows Phone 8, a dual core CPU and a design based on asymmetry. As you can see, on one side we’ve got a huge speaker area, that should provide great sound from the device. On the other side we have the normal buttons for volume, camera and On/Off. 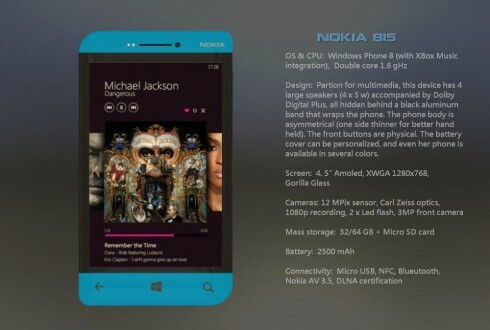 Nokia Lumia 815 runs Windows Phone 8 with Xbox Music integration on top of a dual core 1.6 GHz processor and has a special partition for multimedia. It has a total of 4 large speakers (4 x 5 W) and support for Dolby Digital Plus technology. 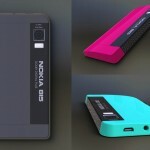 The audio part is hidden behind a black aluminum band that’s wrapped around this Nokia mockup. 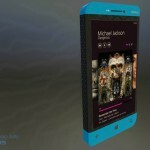 One of the sides of the handset is thinner than the other, as shown in the pics, for better holding in the user’s hand. At the front we have a 4.5 inch AMOLED screen with a 1280 x 768 pixel resolution and Gorilla Glass protection, as well as physical front buttons. At the back there’s a 12 megapixel camera with Carl Zeiss optics, 1080p recording and dual LED flash. 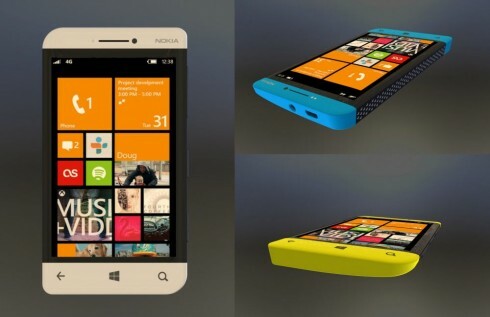 Finally, we have a 3MP front camera, 32/64GB of storage, a microSD card slot and 2500 mAh battery on board. 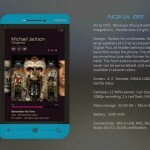 Nokia Lumia 815 gets NFC and DLNA certification, too. 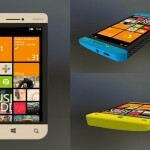 Is asymmetry viable with today’s design standards?